Bergkamp’s undeniably one of the greatest players that the Premier League has ever seen and in terms of his international quota, the Dutch would also regard him as one of their greatest also. Bergkamp was famously known for his fear of flying, which inevitably gave him his nickname of “The Non-Flying Dutchman”. However, he was more recognised for the talent he displayed on the football field writes Ethan Gore. 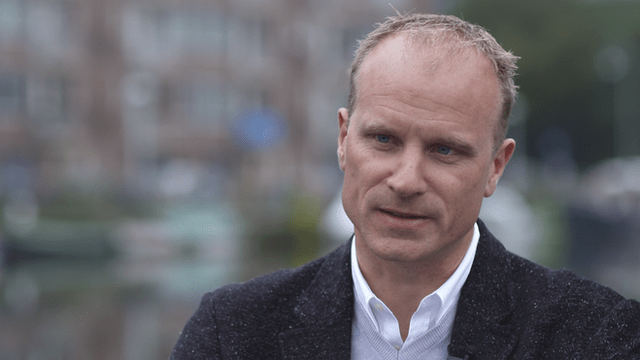 Bergkamp was taught through the idea of Total Football, a playing style which relied on versatility which the Dutchman had as he could play anywhere across the front three. This ensured that the player fulfilled their potential and this was a method Ajax used a lot in their academy. Bergkamp was positioned at right-wing during his Ajax years but found his best position as a second-striker for Arsenal which allowed him more freedom in the middle of the park and he was able to express his creativity and flair. The arrival of fellow Dutchman, Overmars at Arsenal really improved Bergkamp as a player as he began to receive the ball a lot more and was able to showcase his talent and because of this, he was scoring and creating more goals making a household name all around Europe. Bergkamp functioned as an attacking midfield slightly but was more of a striker. However, his technical skills, vision and creativity allowed him to play that attacking midfield role with ease. Bergkamp started out at Ajax as a youngster and played in the first-team for six years before leaving to join Inter Milan. Bergkamp’s Ajax years truly defined what type of player he was and enlightened the football world of the potential he had. Bergkamp really caught footballs fan’s attention in his European debut against Malmo FF in the European Cup Winners Cup in the 86/87 season, a very impressive display had people all over talking about him. During his time at Ajax, Bergkamp established himself as a top goalscorer as he won the Golden Boot award three years in a row. The Dutchman won one Eredivisie title whilst at Ajax in 1990. Bergkamp was named Dutch Football Talent of the Year in 1990 and at the age of 22 was named as Dutch Football of the Year, an award he would win again only a year later. Bergkamp kept on his goalscoring form and was the World’s Top Goalscorer in 1992 and as a result of his goalscoring antics, it landed him a chance of winning the prestigious Ballon d’Or award however he missed out on being the number one player on two occasions as he finished as a runner-up in 1993 and finished third place 1992. Due to his form at Ajax, clubs all over came calling for his services. Real Madrid were one of the clubs interested but he was advised not to go there and ended up joining Inter Milan as he was insistent on playing in Italy. He joined for a fee of £7.1m, which doesn’t seem like much but at the time, it was a big fee. Bergkamp found it difficult in Italy and the resolute defending was a problem for him as he found it a lot harder to score and work his way past such well organised defenders. Bergkamp had to wait until September to score his first goal for the club against Cremonese and in total he only managed 8 league goals in his first season despite being very clinical in both Europe and the cup competitions, scoring an additional 17 goals. However, he only lasted two seasons in Italy before finding that this wasn’t the right league for a player like him. His second season was a disaster and he only managed to score 3 league goals which was barely identical to his goalscoring form at Ajax. Bergkamp signed for Arsenal in 1995, only two years after signing for Inter. Bergkamp broke the club’s record transfer fee set at £2.5m as the Dutchman was signed for £7.5m. Bergkamp was the start of something new at Arsenal, they’d be in decline for the past few seasons and they needed someone with International status that was a proven goalscorer to come in and make an immediate impact. Bergkamp did take his time to settle and failed to net in his first six games but with the impact he made at his 11 years at the club, it’s safe to say that the investment was a great one. It was against Southampton that Bergkamp would grab his first and second goals for the club. 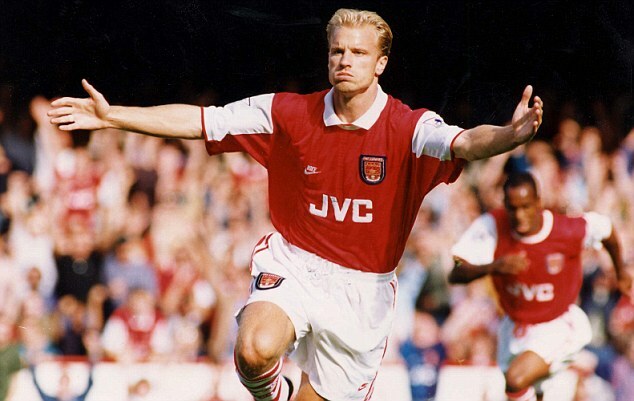 Bergkamp made 33 apperances for the Gunners in his first season, scoring 11 goals. Helping them to a fifth place finish, ensuring qualification to the UEFA Cup. It was Wenger’s appointment that marked a turning point in Bergkamp’s career. Both player and manager advocated an attacking style of play which suited Bergkamp’s game a lot more and despite playing fewer games in 1996-97, Bergkamp scored more goals in the Premier League and created 13 goals making him a force to be reckoned with. Bergkamp scored 120 goals for the Gunners in 11 years at the club and is regarded as one of the club’s greatest ever players. Most notably his goal against Newcastle in 2002 was the greatest goal he scored for the club and it is now regarded as one of the best goals in Premier League history as a fantastic piece of skill to flick the ball around Newcastle defender Nikos Dabizas resulted in an easy finish into the bottom corner for Bergkamp. The Dutchman was also part of the Invincibles in 2003-04 that went the whole season unbeaten in the league and he contributed by scoring five goals, not as impressive as previous years at Arsenal but he was 35 years old and nearing the end of his career. Bergkamp retired at Arsenal in 2006. Click on Ethan’s name above to follow him on Twitter.